MAP OS EXPLORER 373 IONA STAFFA AND THE ROSS OF MULL, A TIDAL WALK best done two hours either side of low water on big tides where low water is around midday. Can be done on smaller tides but time reduced. Mixture of walking surfaces stout walking boots, walking wellies and walking poles if needed. 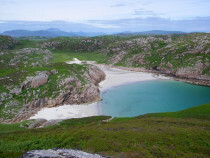 The small tidal isle of ERRAID(HISTORY)READ MORE lies 200 metres off the south west tip of the Ross of Mull, about 300 hectares and Mulls third largest off-shore island, about four miles drive from Fionnphort. 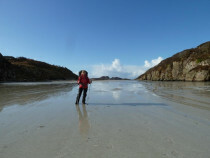 For an hour or two either side of low water, the island is linked to the Ross by a broad expanse of sand along which, people can walk across to Erraid. 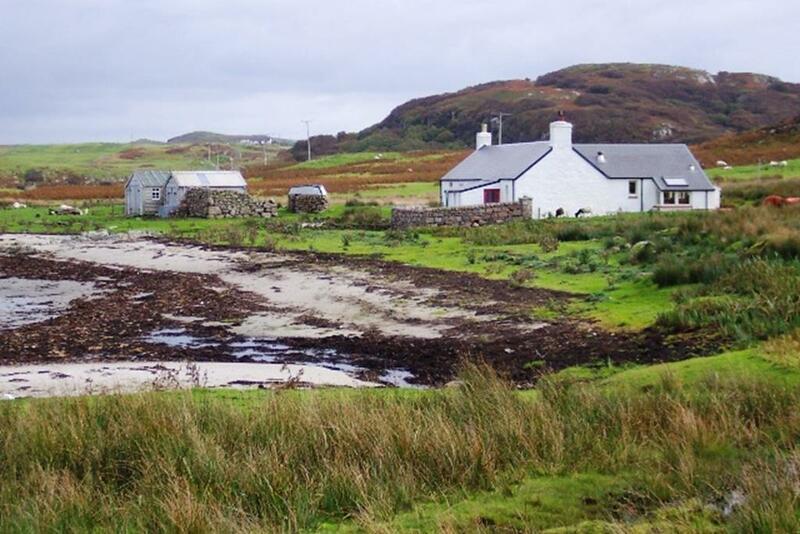 From Seaview bed and breakfast in Fionnphort village on the Ross of Mull's western tip, the only road leaving the village is to Knockvologan, winding south past beaches and sands, through Fidden Farm and across desolate peat bog, four miles to Knockvologan Farm and access to Erraid. 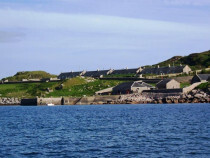 Fidden Farm is owned and run by Jimmy & Christine Campbell. 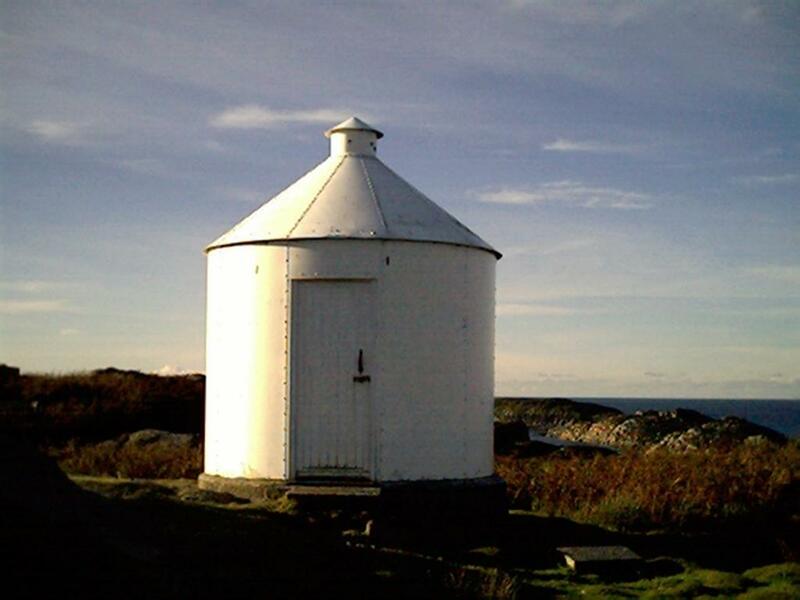 As well as rearing cattle and sheep, they run a traditional campsite on the sandy machair, right on the beach overlooking Erraid and Iona. 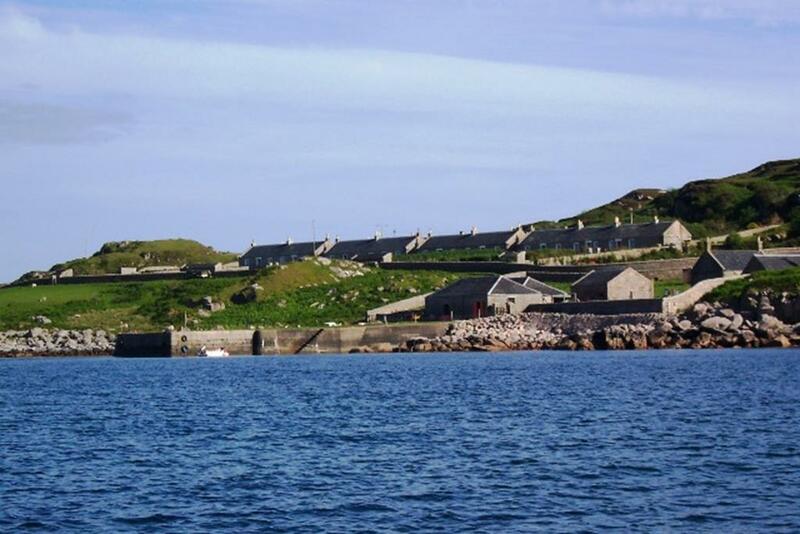 On passing Fidden, to the south you will catch a glimpse of Erraid's row of granite houses and walled gardens. Also to the south east, in the distance, a narrow channel, dry and sandy only until an hour before high tide, dividing the island from the main island of Mull. 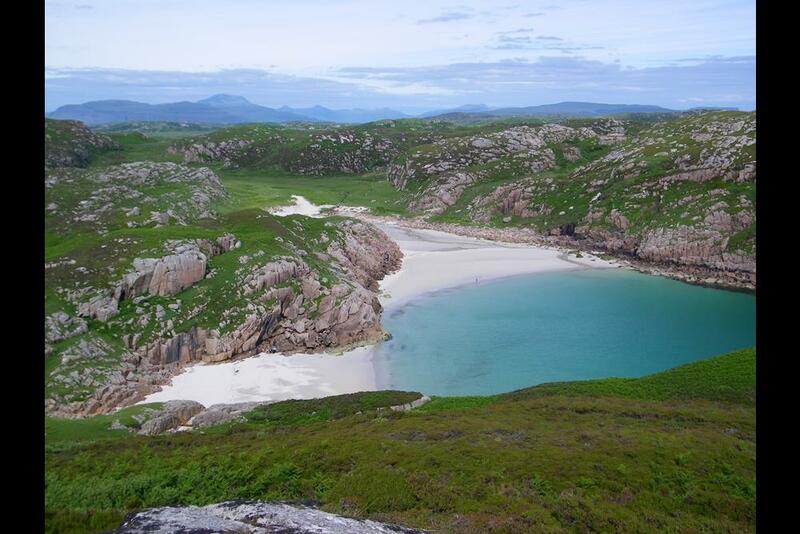 From the farm, keep on the track and walk south down the track to the beautiful Knockvologan sands and beaches stretching east and west, turn right (west) and follow the rough track on to the machair to the broad channel of sand running south the north between Mull and Erraid. 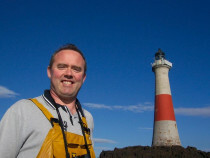 It is important you have the correct tidal information and follow local advice at this point. If you get it right you can have up to 3 or 4 hours on Erraid. If you get it wrong you have along wait for low tide or you get very wet! To access Erraid walk north up the sandy channel and cross on to Erraid at the north end of the channel. 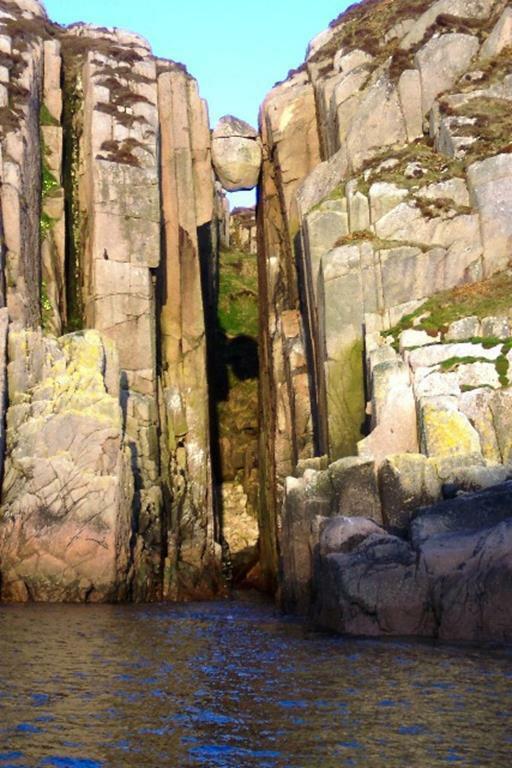 Erraid is a beautiful, rugged small island in a very remote part of the western seaboard of Scotland. However, history has made it more than that as Erraid is also the backdrop ofone of Scotland's most famous romantic novels 'Kidnapped' by Robert Louis Stevenson and as the working stone centre of a major engineering achievement - the construction of the famous Stevenson rock lighthouse 'Dubh Artach', 15 miles south southwest of Erraid on a desolate wind swept rock, protecting seafarers from the ravages of the Torran Rocks. 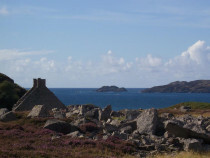 Thereafter Erraid was used as accommodation for the Lighthouse Keepers families while their men manned Dubh Artach and Skerryvore Lighthouses. Now, having landed on the northeast corner of Erraid on your right (to the north) is the tidal sound of Erraid, a haven for birds particularly migrant waders and passerines including corncrake, lapwing, skylark, sedge, warbler, hen harrier, merlin, peregrine, sanderling, sandpipers, godwits, barnacle and greylag geese. 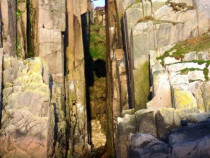 Erraid granite was extracted for the building of Dubh Artach lighthouse. Follow a path to the top of a knoll above the quarry cottage (now a ruin) to the disused lighthouse observatory station. From here the views are a stunning panorama of the surrounding area and this is where John proposed to Jane one rather glorious October day in 2005, and so Erraid has a special significance to both of us. 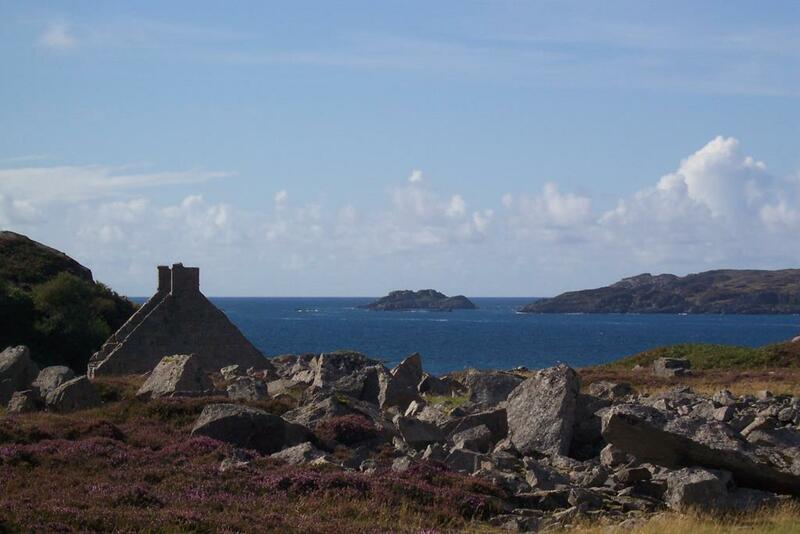 On a clear day there are splendid panoramic views of Iona, her Abbey, the Ross of Mull and Ben More to the northwest, north and northeast. 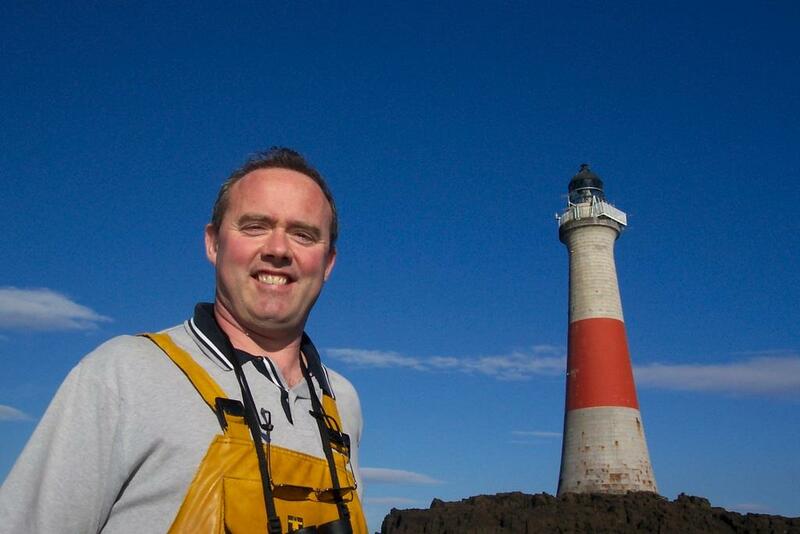 And to the south and west, the treacherous Torran Rocks, Dubh Artach lighthouse and Skerryvore lighthouse. 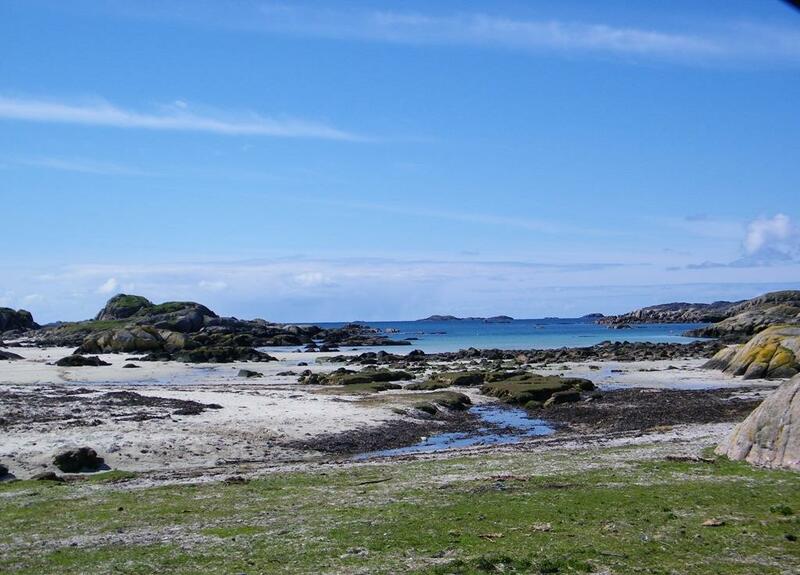 This walk takes about 30-40 minutes from Knockvologan and the easiest route back is to retrace your steps - stopping off on the way back to enjoy the white sandy beaches at Knockvologan. 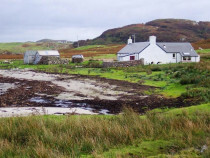 From the white croft house on the north shore of Erraid, walk up the slope behind the croft in as south-south-westerly direction. There is a rough track where the land becomes heathery and boggy. Near the top of the slope over its crest, there is a shallow valley facing south west. Follow the valley for half a mile, and descend onto the secluded sandy cove with azure blue waters known as Balfours Bay. 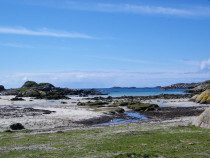 It is an ideal spot for a barbeque or a picnic and for the real 'rufftie tuffties' perhaps a 'wee dook in the water'. On return, retrace your steps to the croft. Copyright Seaview Bed and Breakfast. All rights reserved.